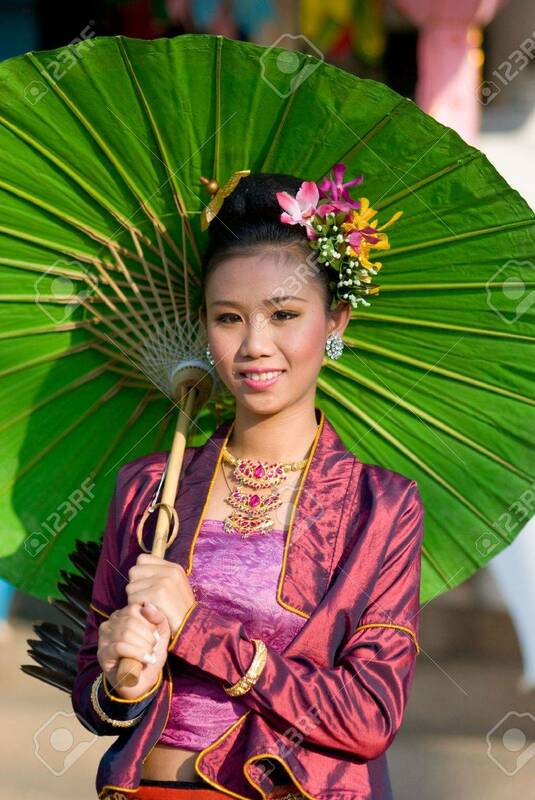 CHIANG MAI, THAILAND - JANUARY 15: Woman In Traditional Costume.. Stock Photo, Picture And Royalty Free Image. Image 6884416. Stock Photo - CHIANG MAI, THAILAND - JANUARY 15: Woman in traditional costume during the annual Umbrella festival in Bo Sang, Chiang Mai, Thailand on January 15, 2010, where traditional umbrellas have been made for more than 100 years. CHIANG MAI, THAILAND - JANUARY 15: Woman in traditional costume during the annual Umbrella festival in Bo Sang, Chiang Mai, Thailand on January 15, 2010, where traditional umbrellas have been made for more than 100 years.